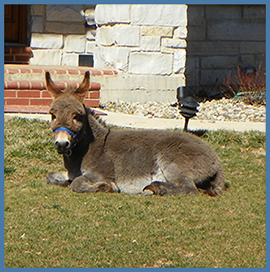 Nestled in the rolling foothills of the Ozark Mountains, Wegener Farms is home to more than fifty animals, including donkeys, mules, goats, chickens, rabbits and more. 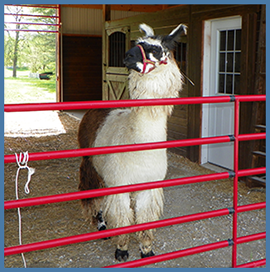 Our primary focus, however, is the breeding and raising of champion Argentine LLama stock. Our animals are big boned and beautiful! We pay particular attention to disposition, confirmation and fiber. Color is a secondary consideration, but our boys and girls are flashy! Perfect for the show ring. We have a proven herdsire, open females, and gelded males, they are wonderful companions and guardians. 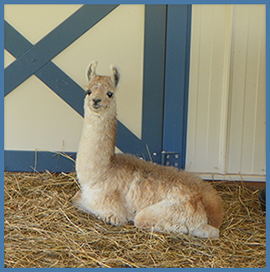 We welcome all visitors to our establishment, whether you're an established breeder seeking new bloodlines, a novice seeking information, or you just want to hug a llama, please plan on stopping by. We'll even take your picture! Meet Joplin our house donkey! Featured on Nat Geo WILD! 3659 Rock Creek Valley Rd.